The best source for all your television and internet services. 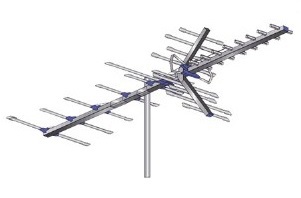 Dish provides satellite television from a single Wally for one TV up to 16 HD/DVR tuner Hopper 3 for the whole home. We offer services to commercial and residential customers. Videotronics LLC. is an authorized retailer of DISH Network L.L.C. DISH, DISH Network and DISH Network logos are trademarks, registered trademarks and/or service marks of DISH Network L.L.C. and/or its affiliate(s). The DISH Network trademarks, registered trademarks and/or service marks are used under license of DISH Network L.L.C. and/or its affiliate(s). If you want TV but do not want a bill maybe this is an option for you. With local TV stations going digital there is dozens of local Standard and High Definition channels you can pick up for free. Combined with streaming devices you could have hundreds of channels without a monthly fee. Call for more details. If you want more information contact us for more information about any of our products.